suitamation | No Chic. Just Geek. In the Earth Year 1994, the Godzilla movie series was in fairly robust health – after fifteen years or so in the wilderness, with only one movie released between 1975 and 1989, they were back to cranking out a new sequel every year, and it didn’t hurt that the most recent movies had actually been pretty good, mostly. 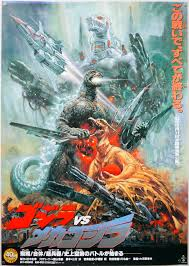 This is the situation into which Kensho Yamashita’s Godzilla Vs Spacegodzilla, sixth film in the then-current continuity and twenty-first overall, was released. 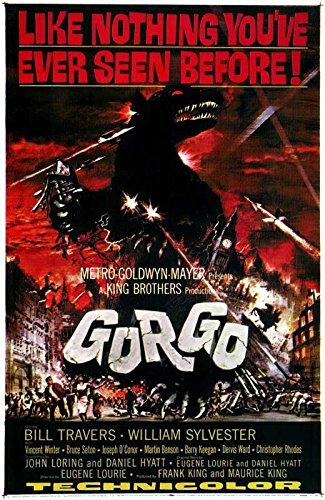 As the movie gets underway, the Japanese establishment seems to have dissolved into a (rather counter-intuitive) alphabet soup of different agencies and initiatives: we hear of the Counter-G Committee, Project M, and Project T. Naturally, most of these things are concerned with the ongoing Godzilla problem. Project M is a new weapon developed to fight giant monsters, a piloted robot called Mogera. Project T, on the other hand, is a scheme to telepathically take control of Godzilla using the psychic powers of series regular Miki (Megumi Odaka). Yeah, like that’s going to work. However, what nearly everyone is ignoring is the approach of a hostile extra-terrestrial organism, which to begin with looks rather like Superman’s spaceship from the 1978 movie with an even grumpier version of Godzilla sticking out of the bottom of it. This, of course, is Spacegodzilla, a mutant clone of the Big G created after some of his cells ended up in space, fell through a black hole, absorbed crystalline alien life-forms, and so on. As happens all the time in Japanese monster movies. The only one who notices Spacegodzilla is on the way is Mothra (not in the movie enough) who throughout proceedings is off in space doing the stuff that a giant mystic lepidoptera has gotta do. Mothra’s spokesfairies, the Shobijin, tell Miki what’s going on, but before Spacegodzilla arrives, there’s some other stuff to cover, namely the attempts of Project T to take psychic control of Godzilla. This happens off on a desert island somewhere, and is hampered by the presence of traumatised army veteran Yuki (Akira Emoto), who comes across as a deranged survivalist: one of his buds was killed in a Godzilla attack, and now he plans on killing the big guy with a special hand-made bullet. Yeah, like that’s going to work. 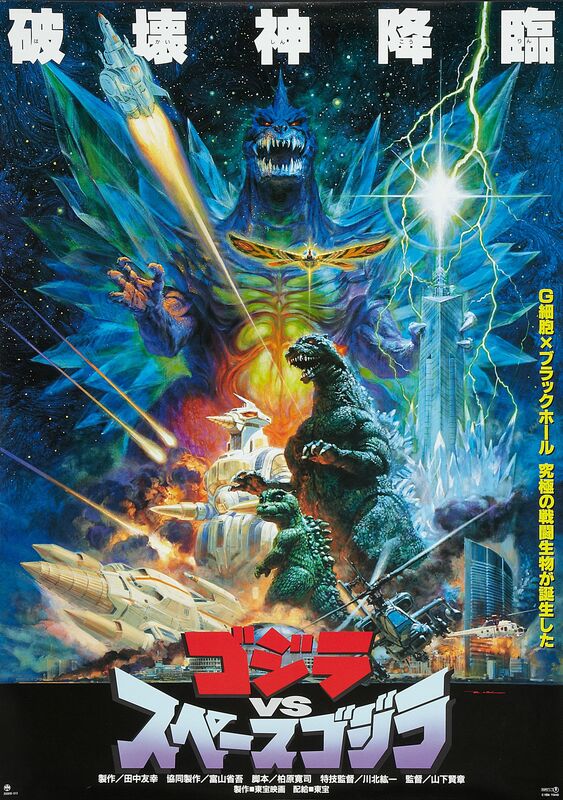 Prior to watching Godzilla Vs Spacegodzilla, I would have confidently said that the Heisei sequence of Godzilla films (the 1984-1995 run) was absolutely your best bet in terms of your chances of finding a fun movie which was competently made and not too egregiously daft. My confidence has taken a bit of a knock, to be honest, for Godzilla Vs Spacegodzilla is in many ways a throwback to the dodgier films of the early 1970s. 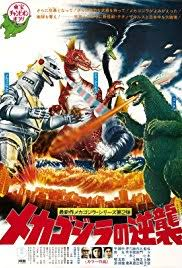 And in a way the 70s feel is entirely appropriate: Spacegodzilla looks like a glam rock version of Godzilla, Mogera looks like a disco version of Mechagodzilla. The main problem is that the story is simply not very good. The first act sets up the action, reasonably competently, and includes all the messing about on the island with Little Godzilla, Project T, and Yuki’s Godzilla revenge plan. 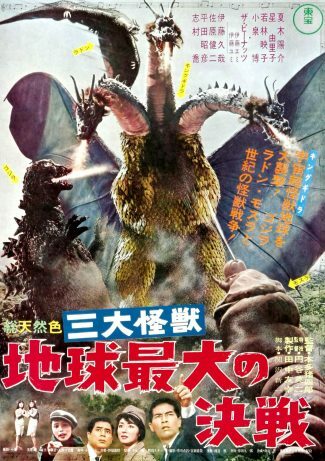 The final act is a (very) extended battle between Godzilla, Spacegodzilla, and Mogera, which basically consists of the three of them zapping each other with ray blasts and Godzilla falling over a lot. In between… well, the thing is that there isn’t really a second act. All that’s there is a frankly ludicrous subplot about the Yakuza kidnapping Miki so that they can use her to telepathically take control of Godzilla. This plotline comes out of nowhere. It goes nowhere. It’s just a lump of weirdness plopped down in the middle of the movie. However, there are lots of elements of this movie which just pop up from nowhere or disappear to the same place (not that this is always necessarily a bad thing: Little Godzilla is basically forgotten about after the first act). Of course, you should be careful what you wish for, because the actual monster battle at the end of the movie goes on forever and is repetitive to the point of being boring: it nearly put me into a coma. I glanced at my watch at one point and was dismayed to see the movie still had another twenty minutes left to run. This is quite long, for a Japanese Godzilla film – it could easily stand to lose at least ten or fifteen minutes of its running time. Many – perhaps even most – of the special effects shots are arguably sub-par too. As I said, the Godzilla franchise was in pretty good shape in 1994, but the decision was nevertheless taken to put the series on hold after the very next film, Godzilla Vs Destroyer. Am I suggesting that Godzilla Vs Spacegodzilla is so bad that it effectively killed off the franchise, or at least put it into suspended animation? 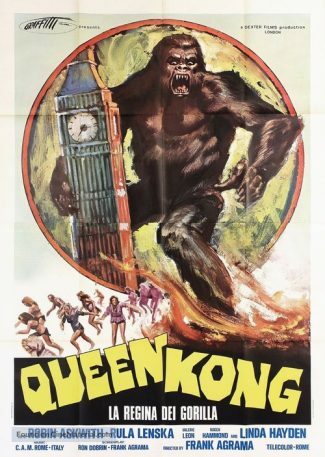 Hmmm, well, maybe I am – not that I have any evidence for this, and this movie seems to have done pretty well at the box office. 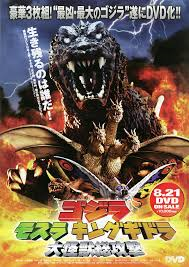 Nevertheless, I stand by my opinion: this is a poor movie, short on new ideas, seemingly without the imagination or affection for the Godzilla series that the best of the Heisei series have in buckets. A lowlight of the genre’s 1990s output.